The GC32 2018 World Championships. Riva Del Garda, Italy. (Charleston, S.C. USA – April 9, 2019) – The start of the second event of the 2019 U.S. Melges 24 National Ranking Series is just days away with thirty-seven teams registered for the Sperry Charleston Race Week regatta. Melges 24s from all over the country are excited to be traveling to Sperry Race Week, an event well known for being supported by a massive league of dedicated volunteers, offering the finest in race and regatta management, loaded with tons of southern hospitality. Spectacular shoreside activities include beach parties, an open Goslings Rum Bar and live music each day that keeps teams faithfully returning every year. [London: 9 April 2019]: Edinburgh Marina, Scotland’s premier new waterside destination development, confirmed today that it has now been granted its marine works licence by Marine Scotland for the new world-class Edinburgh Marina located less than 2.5 miles from Edinburgh city centre. The grant of this licence paves the way for the construction of the new state-of-the-art 373 berth Edinburgh Marina which, once complete, will provide 24/7 access to the sea at all states of tide. April 9, 2019 — Under an agreement recently signed with the Interlake Steamship Company, Fincantieri Bay Shipbuilding is to construct the first U.S.-flagged Great Lakes bulk carrier to be built in more than 35 years. The new 28,000 dwt River-Class self-unloading bulk carrier will measure 639 feet in length with a beam of 78 ft. Delivery is scheduled for mid-2022. Nuclear transportation at sea can be safely managed as long as shippers stringently comply with IMO and other international legislation, advises the head of the Maritime Authority of Jamaica (MAJ). It was with great sadness that we announce the sudden death of Fleet Staff Coxswain Francie Morgan, who has supported Seahouses RNLI over the last 14 months. He returned home to Newcastle in Northern Ireland on Sunday, and was to perform a short period of cover at Ballyglass. He was walking his dog “Murphy” this morning (Monday 8th April 2019), when he collapsed and died. A true gent. We owe him so much. 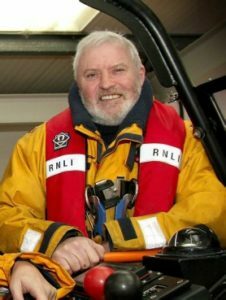 Our thoughts are with his family and friends, and his former home RNLI station at Newcastle, Northern Ireland. You may have wondered where we have been, but not to worry the North Sea Regatta is back again for the 2019 edition. Also this year the event will be hosted by Stichting North Sea Regatta and Jachtclub Schevening and our team is very busy planning some amazing race courses and super fun parties on shore! Singapore, Sea Asia, April 9-11, 2019: IEC Telecom will launch its ground-breaking Orion Edge+ satellite voice and data communication solution during this week’s Sea Asia (April 9 to 11). April 8th, 2019 — To be built at the Washburn & Doughty Shipyard in East Boothbay, Maine, the new boats will be the latest in a series of tugboats designed by Jensen for Moran over the past decade. New features include upgrades to meet the latest ABS rules, U.S. Coast Guard subchapter M regulations, and U.S. EPA Tier IV requirements.